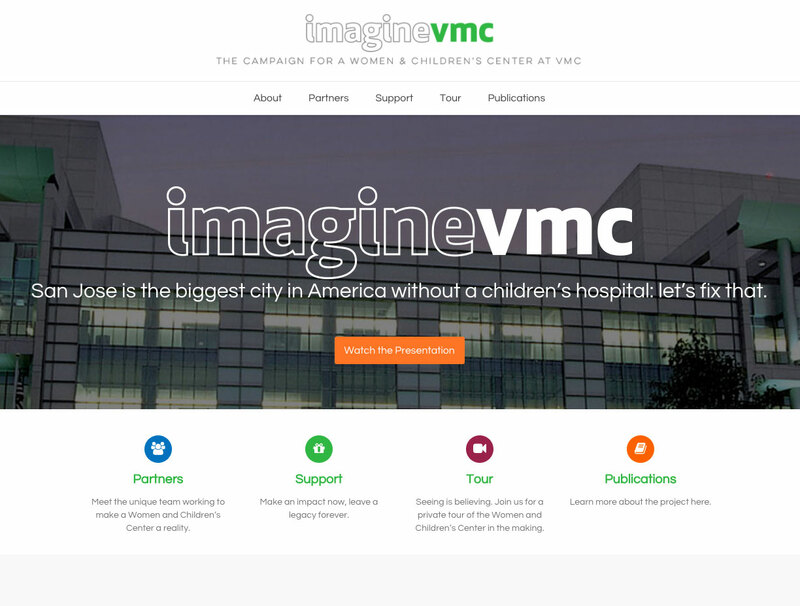 I created a fundraising promotional microsite the Valley Medical Center (VMC) Foundation campaign, Imagine VMC. The Imagine VMC goal is to raise major funds to build a Children’s hospital in San Jose, CA, in association with Valley Medial Center, its main hospital. I also designed VMCF’s primary website, vmcfoundation.org, several years ago and it is still in use.